Ministers have announced funding worth nearly £80m for projects to develop low carbon and low emission vehicle technology, including a high-powered battery for high-performance vehicles. Seven projects will share grants worth £62m from the Advanced Propulsion Centre (APC), the joint industry-government programme to put the UK at the forefront of low carbon vehicle technology. 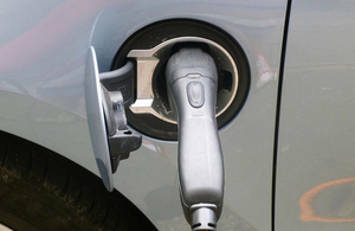 While another seven won £16.7m from the Government’s Office for Low Emissions Vehicles (OLEV). The APC projects will be led by BMW, CNH Industrial, Ford Motor Company, Jaguar Land Rover, Penso Consulting, Westfield Sportscars and Williams Advanced Engineering. The funding is part of a nearly £110m to help develop new low-carbon and driverless vehicles as part of the Industrial Strategy. Under the OLEV, another seven projects have won funding worth a total of £16.7m advance the development of a range of ultra-low and zero emissions vehicle technologies. OLEV-funded projects will be led by Equipmake, Ford Motor Company, Great British Sports Cars, Jaguar Land Rover, Ricardo Innovations, Romax Technology and Wrightbus. The Government also announced that people buying an electric vehicle will continue to benefit from up to £4,500 off the cost of an ultra-low emission car, up to £2,500 off a hybrid and receive £500 towards the installation of a charge point in their home.